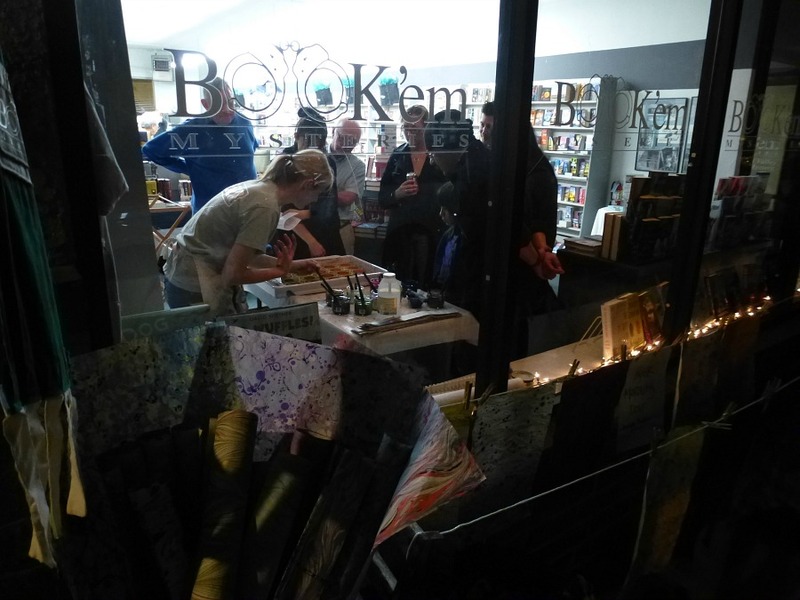 It was another delightful evening for me at the South Pasadena Arts Crawl last week. So much gratitude for all the wonderful people who stopped by the demonstration, asked great questions, and oohed and ahhed and clapped for the "big reveal." I am especially grateful for the people who supported my work through purchases ~ I hope you love your wrapping papers, bookmarks, coin purses, and cards. 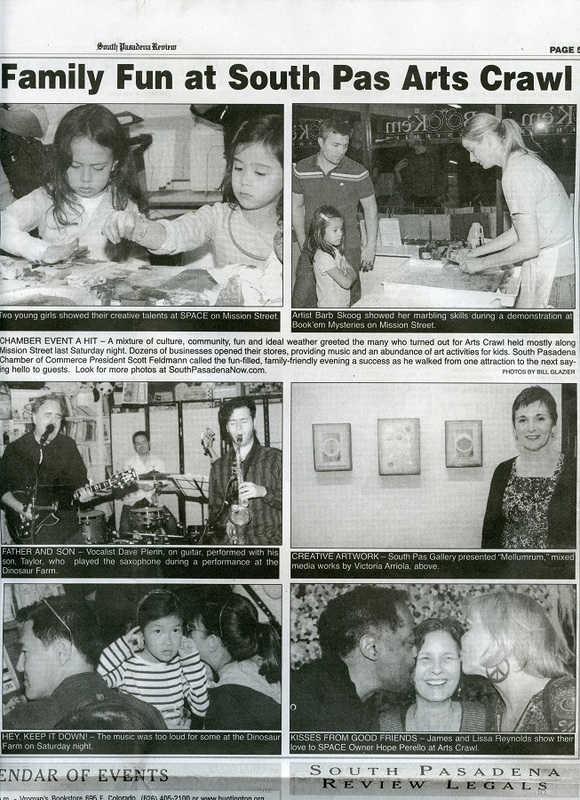 And how fun is this: I even ended up in the paper featuring other great Arts Crawl events! Don't forget...marbling classes begin next week and these are the only ones I'll be offering until late fall. I'd love to have you in the studio playing in your own marbling tank!